If a prospective client visited your law firm, it’s highly unlikely she would be met in your lobby by an unhappy former client who has negative comments about your law firm. But when your prospective clients plug your firm’s name into a search engine, there’s a decent chance they’ll encounter one or more results that paint an unfairly negative impression of your firm. Except in extremely rare instances, it is nearly impossible to “kill” negative search results. If, however, the information is demonstrably false or libelous, and the content provider is a publication or other reputable website, then it is possible to have the information removed through legal action. Most negative search results, however, are likely to remain on the web and must be dealt with using other tools. Particularly when the information appears on a site with high domain and page authority (i.e., sites that search engines trust, value and reward with prominent rankings), it can take an extensive and concerted effort to combat the negative content. 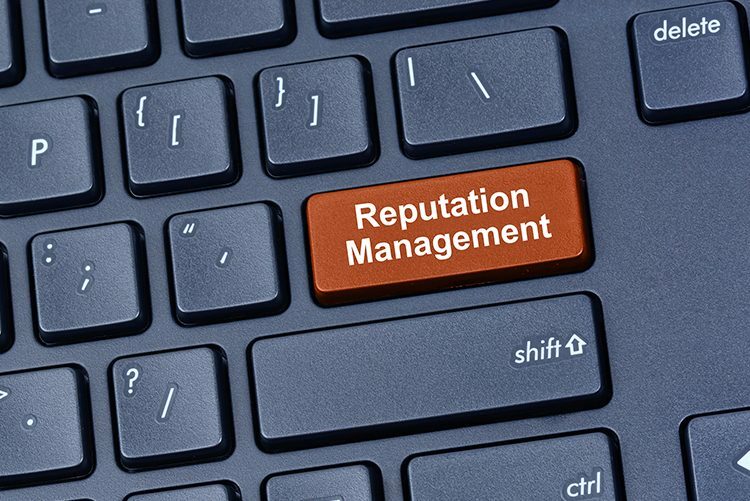 The key to managing your online reputation is to provide relevant and positive content about your organization. Ensuring continued success, however, requires consistent, ongoing content creation over an extended period of time. Otherwise, any content you are able to push off the first page of search results will often resurface. The first step is to perform a content audit to review existing web content about your firm, both favorable and unfavorable. It’s important to begin with an understanding of everything that exists on the Internet about your firm, including articles, blog postings, reviews, comments, etc. You’ll also want to assess where the various pieces of content are housed, as some sites are stronger than others in terms of search engine prominence. Once you know what’s out there, it’s time to map out your strategy to accentuate the positive and mitigate the negative. Engage with social media. Social media is more prevalent now than ever before. You’ll want to evaluate, update and/or create pages for your firm on platforms such as LinkedIn, Google Plus, Yelp, YP.com, YouTube, Facebook and Twitter. All of these sites have high domain authority, so the more prolific and engaged you are with these platforms, the better. Keep your pages updated regularly with fresh content and actively build your network to ensure you are engaging with others and expanding your online presence. You’ll want to maintain ongoing public relations efforts to actively seek out and promote items involving your firm and your lawyers in the hope that reputable news sites will publish content about your firm. Generally, news outlets and publications are seen as trustworthy and valuable by search engines, which is why they are rewarded with high domain and page authorities. Continuing to tell your firm’s story and ensuring that you’re providing a regular supply of positive content can help promote favorable items, and drive down negative search results. If you are unable to see results after three to six months of providing a steady stream of positive content, then consider embarking on a more concentrated reputation management effort. This entails creating extremely focused microsites or blogs that are frequently updated with positive content about your firm (e.g., highlighting particular practice groups). Although creating and maintaining such microsites can be both costly and time consuming, they can help create a steady stream of positive content that not only ranks highly in search results, but also provides an effective channel to communicate and engage with your potential customers and peers.